At the heart of the city’s most desirable neighbourhood, and situated high above the activity, is this exceptional private boutique residence. 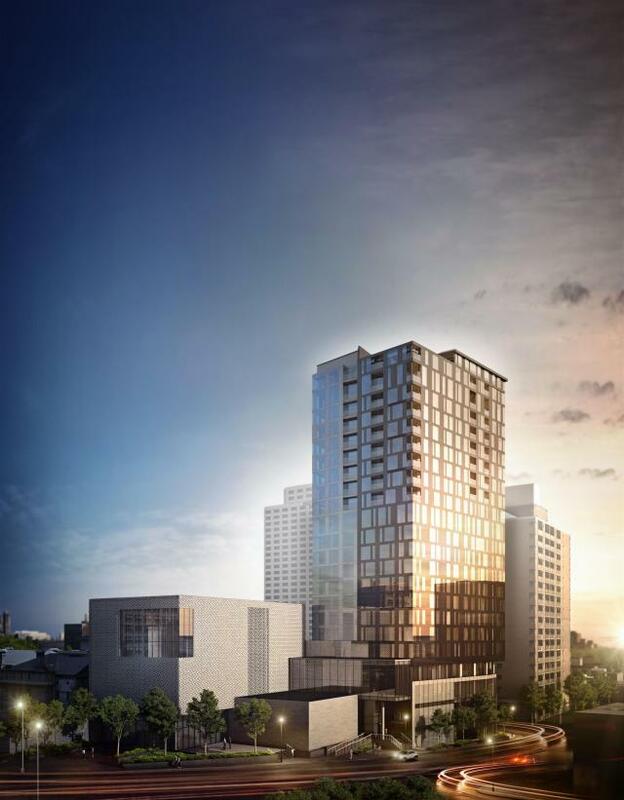 Already under construction, ArtHaus Condominiums occupy floors 15 to 23 of this iconic mixed use development. ArtHaus, with its defining architecture and unrivalled views, is destined to add to the transformation of the Byward Market area. Surrounded by the finest in retail, dining and culture, ArtHaus is in the epicentre of where you want to be. ArtHaus is perfectly located high above the Ottawa Art Gallery. This is where you want to be, living at the epicentre of it all. From your designer lobby the retail, arts and theatre district is steps away as is the highly ranked University of Ottawa. The high fashion shops of the Rideau Centre are at your utmost convenience. The Convention Centre, Rideau Canal and The National Arts Centre are minutes away. Last but not least is Ottawa’s highly acclaimed Byward Market with its fine eateries and nightlife. An added neighbourhood convenience is the new LRT Rideau station located just a block away from the building’s front entrance. With construction already underway, ArtHaus will soon be a reality for its future residents. For nearly 20 years, DevMcGill has been a renowned developer with solid experience developing condominiums. Offering exceptional living environments, lively, bold and intelligent spaces, the developer offers high end, unique condominiums, both through their avant-garde design as well as their choice locations. The recipient of numerous awards, the developer has brought more than 20 iconic projects to life. Its vision: build tomorrow’s spaces today. Sales: TradeUp Real Estate Inc.